One of my absolute favorite things is to bake something that turns out super cute. I love it when something looks great and tastes even better. 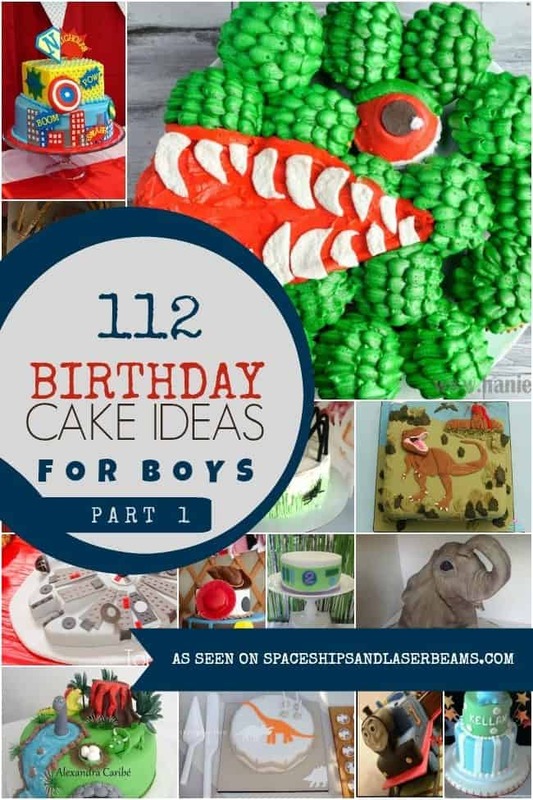 So when my godson and nephew’s second birthday was around the corner I quickly weaseled my way into creating the sweets for his birthday. 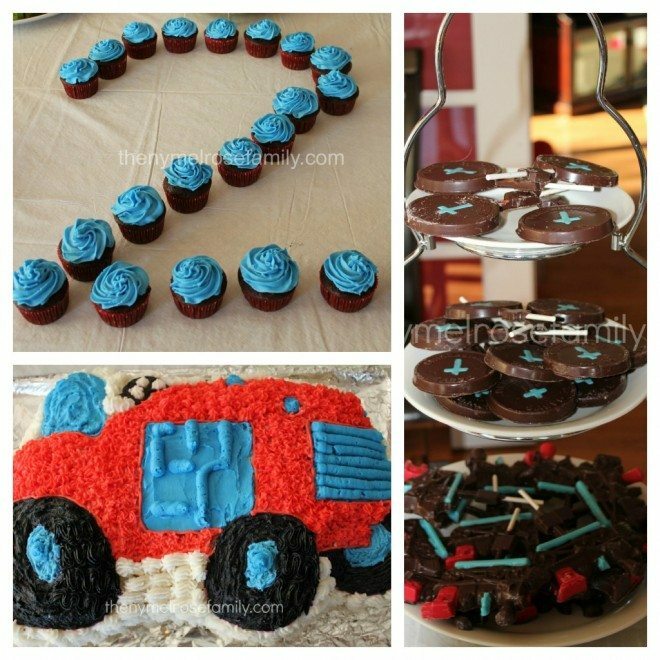 My sister chose a transportation theme of tractors, trains and trucks for his birthday with blue and red as the colors. I love the way the blue and red pulled everything together. We managed to get each item of transportation on the table in some form of dessert. The chocolate lollipops were red and blue trains. The cake was a tractor covered in butter cream icing. The bowl next to the red and blue chocolate covered pretzels has the truck shaped pieces of watermelon. Around the 4th of July I found how easy it was to use a cookie cutter on watermelon when I made my Fruit Sparklers. We jumped on the idea of creating truck shaped watermelon pieces. I had to give you one shot of the birthday boy. 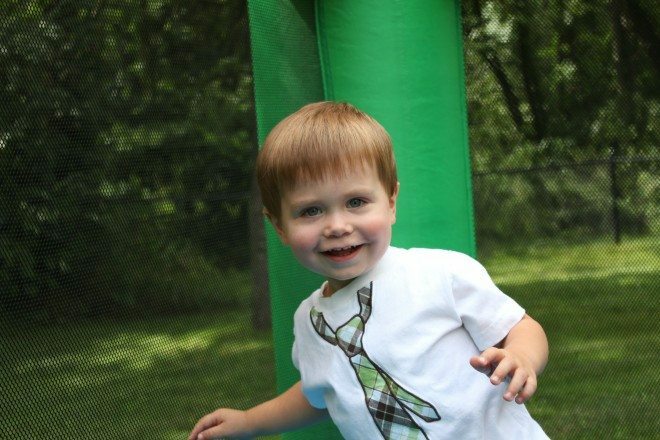 How stinkin’ cute is he?! LOVE me some, Aidan Man! How cute! Great job for a cutie patootie birthday boy! Adorable party. That cute boy must have loved it! Fantastic job! Jenny – it turned out great!! Love the colors and everything about it! What a cutie! Your sweets look great. love the transportation theme. He is so cute! Love that cake.